An informal group of fishios from all walks of life gathered by The Angling Addict. 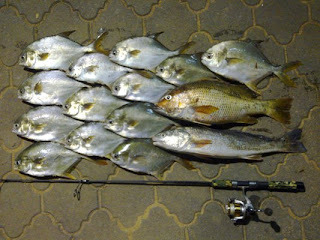 "The funniest fishing group in Singapore, JB and Some say Batam" "FISH cannot be guaranteed but FUN will be." No takes on rubber ??? F6 got a take on rubber. but its a 1-way ticket to the crocs !!!! HA ha .. YA lor no choice liao ... See how ! This fri ! have big kims in the pond..haha..just went down last nite for a last min itch curing session..XD...1 ACK 1 TWN and 2 GP nia..=(...saw a 3kg Kim brought up and alot of drop hook for kims.. Copyright ©2010 Team Angling Addicts. All Rights Reserved. Powered by Blogger.